downloader for youtube. There are many youtube downloader software that you can install on your PC and use for downloading any youtube video. Some of these also come with resume capability for supporting large video downloads. YouTube is undoubtedly the biggest video portal over the internet. It offers a wide range of videos in different categories including entertainment, news, and learning lessons. People often find it comfortable to learn with video lessons. However, it is not possible to download videos form YouTube without specific video downloader programs. These programs allow users to download YouTube videos as per their wish. This free video downloading software has many powerful features to easily download the videos. This is available on Mac and Windows. Premium features are available for a small price, however the free version is good enough if you wish to download only youtube videos. YouTubeByClick is video downloader masterpiece. It is the most simple and easy software for downloading from YouTube and other 40+ sites. It has great special features like downloading a whole playlist and channel from YouTube, download private videos from YouTube and Facebook, Download and convert for any format, cut the downloaded MP3 for making ringtones and many more great options. The software integrates into your browser and lets you download in one click mode. You should try it. YTD Video Downloader is an advanced version of YouTube Downloader and it offers video download and conversion at a better speed. It is packed with some new features including resume capability and video toolbar. The user might feel some unresponsiveness while downloading longer videos. Airy - versatile YouTube downloader for Mac and Windows, which allows saving videos in MP4, FLV and 3GP formats and various resolutions. It also enables you to extract and save only soundtracks - all you have to do is to choose MP3 from the list of the formats displayed when downloading. Airy costs $19.95, but first several downloads are free. The app is available both for Windows and Macintosh. aTube Catcher is a free tool that allows users to download videos from multiple websites. It is used for several other services including CD/DVD/Blu-Ray creator, audio and screen recorder, video/audio cropping, and similar services. It can further create GIFs, ringtones, MP3, and Audio CDs. Above all, it is a free too with minimal to no advertising, which makes it an overall smooth experience. It is among the best downloader programs available for scrapping YouTube videos and it can easily convert YouTube videos. The interface is quite basic but easy to use. Users can choose from the free or premium version as per their requirements. It is quicker and offers better services when compared with other freeware programs. All Video Downloader is among one of the best freeware programs available for downloading streaming videos. Videos can be easily converted to different formats and the built-in search engine allows users to search videos from the software interface only. This tool is specially developed for downloading videos from YouTube and it can download single as well videos in a playlist. Users can download all videos of a channel or videos with the viewing history of a user. It is possible to download complete YouTube lists with this downloader. 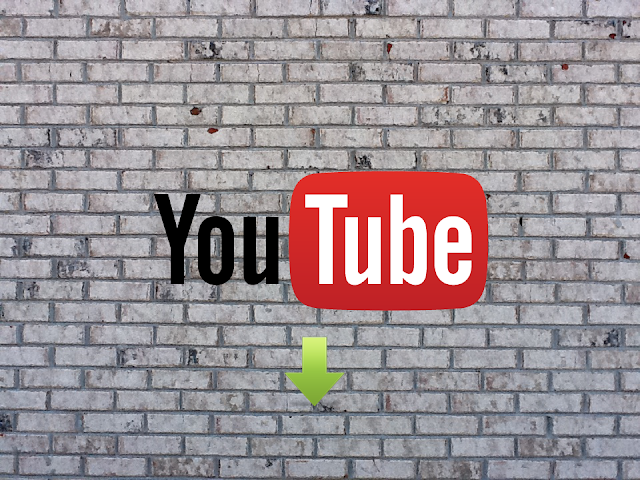 It is one of the best tools for downloading videos from YouTube. MacX YouTube Downloader is a 100% free YouTube downloader for Mac users to download YouTube videos with fastest speed and high output quality. It supports to batch download 4K/HD/SD streaming videos and music from YouTube, Facebook, Vimeo, Dailymotion, Vevo and other 300+ video/audio sharing sites for playing back on Mac or adding the output MP4 videos to iTunes Library for transferring to iPhone, iPad. No adware, spyware, or malware. For users looking for browser-based downloader, KEEPVID is an excellent option. Users can save streaming videos simply by adding the video link in the download box. It is possible to add bookmark and use the tool as per your requirements. For users looking to download YouTube videos from the comfort of their browser, Download YouTube Videos as MP4 is the perfect tool. It allows users to download videos in the FLV and MP4 formats. The extension is built with a simple interface and allows users to download videos directly. For Windows 8 Phone users, this app allows them to download YouTube videos as per their requirements. Further, it allows users to extract audio from the app and create MP3 files. It offers high-speed downloads and users can upload files directly to SkyDrive. On top of these things, it has a neat and easy-to-use interface. This is an excellent app for android users. This app allows users to download videos on different devices or the user can send these videos via SSH. The dashboard allows users to manage downloads and perform advanced functions like extracting MP3 from the video. It works comfortable with Android 4+. YouTube MP3 is an excellent service that allows customers to convert video files to MP3 format. The user simply requires YouTube URL and it is possible to download the MP3 file after conversion. The only thing user needs to do is to download the file and it works perfectly fine on Windows, Mac, Linux, and even on iPhone. There are several services available for downloading videos from major video streaming channels including YouTube. Users can convert MP3 files according to their requirement and on top of it; most of these services are available free cost. It means that the user can use these services as freeware or choose the premium service with a small fee and several additional services. Get ready and start downloading YouTube services of your choice. Updated on Aug 2017 - Added MacX Youtube downloader to the list. Updated on November 2016 - Updated latest information about software and fixed minor issues.